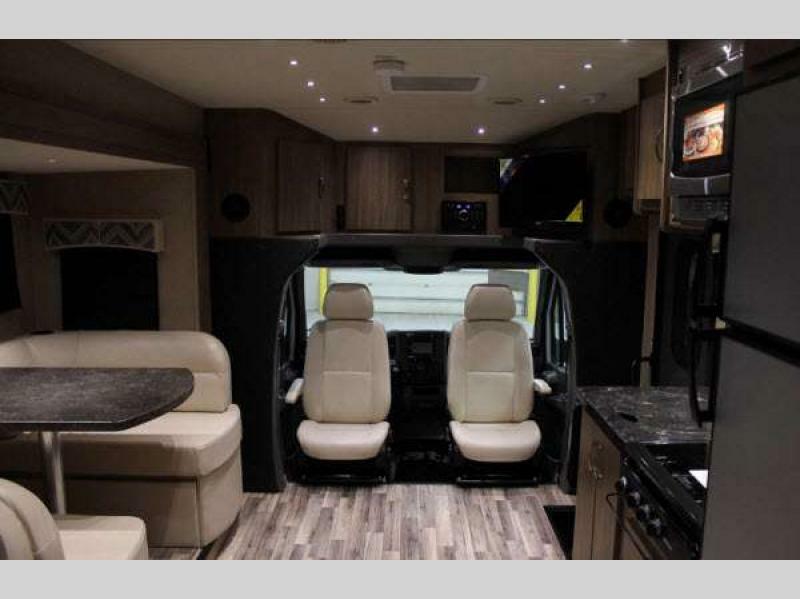 Smaller Class C Motorhomes are nimble RVs ideal for negotiating tight city streets, back woods campgrounds and winding mountain roads. 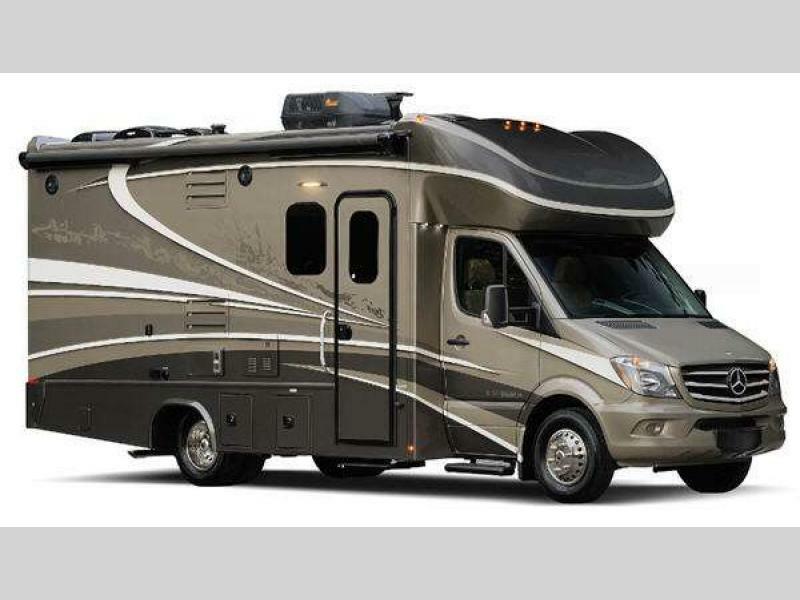 One easy to maneuver motorhome you won’t want to miss is the Dynamax Isata 3 Class C Diesel Motorhome. Built on a Sprinter chassis with a Mercedes 3.0L V6 188hp engine with 325 ft.-lb. of torque, this powerhouse has what it takes to rule the road with confidence. The Dynamax Isata 3’s tinted gel coat full body paint and vinyl graphics will certainly turn heads! Inside, the luxury interior quality offers a modern sophistication. With an extensive list of upgraded, standard features and the industry leading two-year warranty, the Isata 3 stands heads above it’s competitors in value. Despite the Dynamax Isata’s Class C size, you will be impressed by its roominess due to thoughtful space saving touches. Driver and passenger seats are on a swivel frame to allow for extra seating for guests. Plenty of hidden storage can be found all throughout the coach. 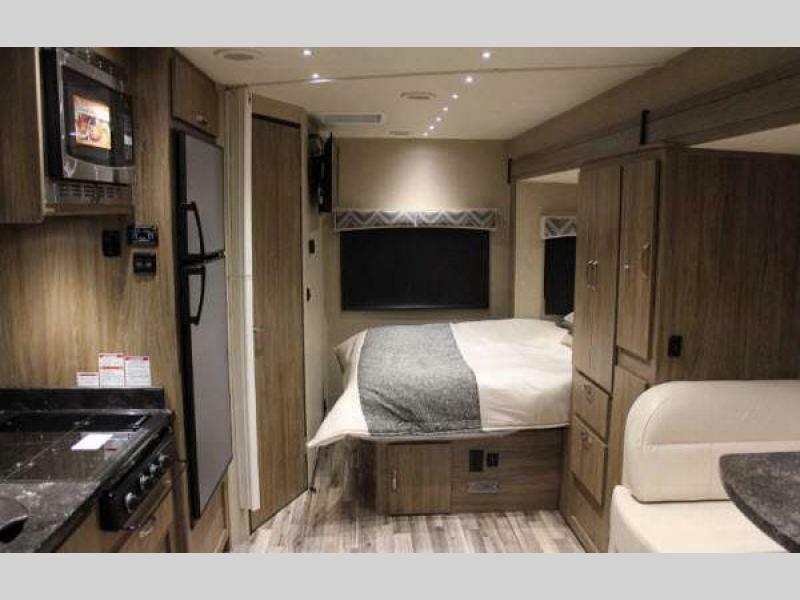 Floorplans include the Isata 3 FW, with a full wall slideout out or the Isata 3 24RW, with a side and rear bedroom slideout. Both floorplans offer a substantial amount of interior living space, perfect for active travelers. 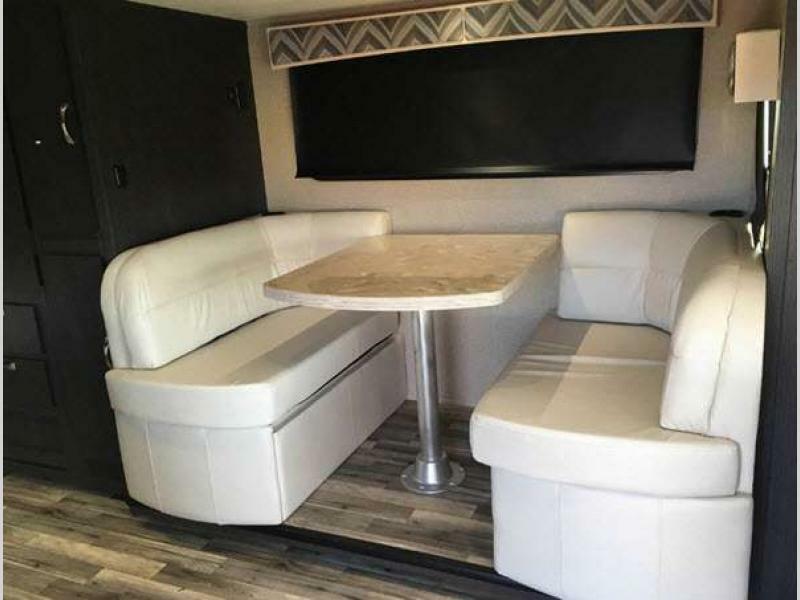 Dynamax RV takes their higher standards of safety, quality, and reliability seriously then backs them up with their industry-leading warranty & customer service. Criss-cross the country with confidence, knowing you have invested in a quality product. There is only one way to really experience the Dynamax Isata 3. That is with a walk through and test drive. Contact Us at Bullyan RV or visit us at Our Location for a friendly, informative introduction to this and other amazing Dynamax RV brands. Bullyan’s RV is Minnesota’s Exclusive Full Line Dynamax Dealer!